As we head into the warmer months and so many of you approach your wedding days, I’m sure you are facing a whirlwind of beautiful details to finalize, questionnaires to fill out with your vendors, invitation assembly and stacks and stacks of petite RSVP cards being returned to you in your mailbox! And as important as it is to manage all of these facets of your weddings, it’s just as imperative to have a solid plan and checklist in place for the week of your wedding! With family and friends arriving in the days leading up to your celebration, your time will be shared between final preparations for your Wedding Day and greeting your guests who have traveled for your remarkable celebration! A wedding week checklist filled with proactive tasks will not only be your guide to a seamless and flawless wedding day, but it will also be a lifeline that will provide you with peace of mind and help you maintain sanity when you are being pulled in different directions your wedding week. To ensure that you and your fiancé have the flawless and magical wedding day that you so deserve, I’ve shared with you below some of my inside tips and tricks for you to help guide you through your wedding week! AND, be sure to read all the way to the end for a surprise gift from me to you to help make sure your dream wedding comes to fruition! As a sidenote — for those couples with a wedding planner, you might find that many of these tasks below are covered by your planner as well! No procrastinating on a wedding week! One of my favorite mantras I share with AYEs brides in the days leading up to their weddings is “only touch a task once.” Proactivity is your best friend during a busy week of preparations, and I’m a firm believer that during a time when the to do list feels neverending you should complete tasks as soon as they come to mind. Brushing your teeth and remember you need to pack your shoes? Take the toothbrush with you and pop your shoebox in your suitcase while brushing. Remember on your morning run that you need to remind your bridesmaids to pick up their dresses at the tailors? Slow to a power-walk and send a quick one sentence group text to the girls. 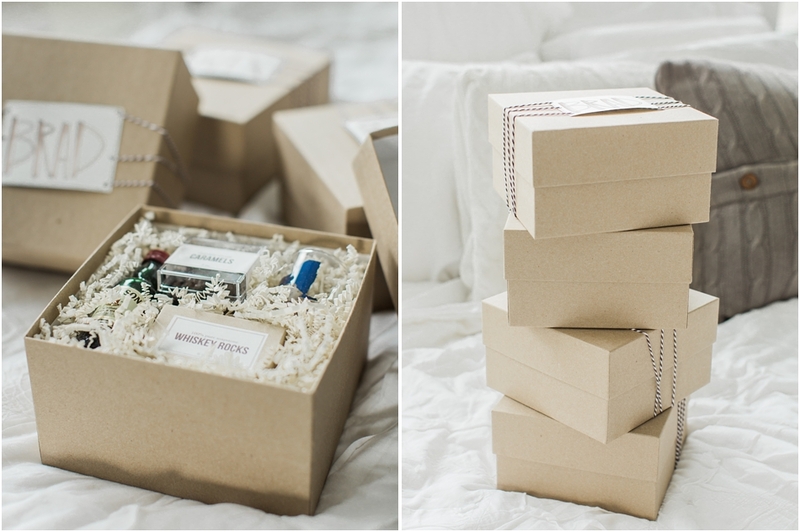 During your wedding week, be a task master by being proactive! I cringe when I think of my couples paying their vendors on their wedding days — you should be enjoying the day to it’s fullest, not passing out envelopes and chasing your vendors in between songs! 7-10 days prior to the wedding, I send all of my AYE couples their final invoices and ask them to either pay them in full, or fill out a credit card authorization form to hand to the vendor for payment upon their arrival and completion of their contract on the Wedding Day. For any vendors who are to be paid after the wedding, I have credit card authorizations prepared and ready to send via email AFTER the wedding is over. And, when it comes to gratuities, AYE couples prepare cash tips in white envelopes of which they give to me as their wedding planner to share with their vendors at the appropriate times throughout the Wedding Day. If you do not have a wedding planner, prepare these envelopes with addresses on the front, and hand to your vendors during the morning of your wedding and pop in the mail in the days after the wedding for those vendors you do not get to see before the end of the evening. Approximately 10 days before your wedding, plan to drop off your dress to be steamed or pressed. Then on the Monday before your wedding, pick up your gown and hang all of your attire in one closet. Have the groom pick up his suit if renting or picking it up from the tailor’s if it’s his own. Send a quick reminder to all of your bridesmaids and groomsmen that they should have their dresses and suits picked up, tailored, pressed and ready at this point. To head off any questions or confusion amongst your bridal party during this busy week, send them all their own copies of the wedding timeline so they know where to be and when ahead of time! This will save you receiving additional phone calls and text messages, and keep them in the know at all times! On the Tuesday before your wedding, email your vendors one final email with the timeline, floor plan and confirm payment. This will give them one final opportunity to confirm any last minute details and ask any final questions days in advance, and will also provide you with peace of mind that you have spoken to all of your vendors prior to the wedding! On the Sunday before your wedding, begin tracking the weather. If you need to put a rain plan in place, email your vendors in a group email by the Wednesday before the wedding to let them all know that you should be putting into place your contingency plan (ie: indoor photo location, moving ceremony indoors, etc). Keeping all of your vendors on the same page with weather will ensure that they readjust their plans in advance and prepare to make your day perfect despite the forecast. 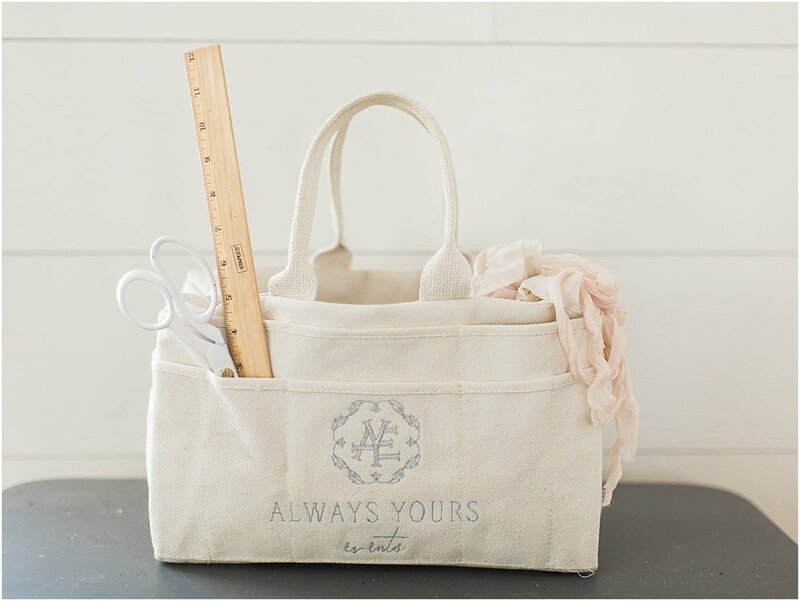 If you don’t have a wedding planner who provides an emergency kit, put together a tote bag of essentials for the bridal suite. Some things to include are hairspray, stain remover sticks, chalk (for covering stains on wedding dresses), double sided tape, nail polish remover, lash glue, scissors, a small sewing kit (including thread that matches the bridesmaids’ dress and groomsmen’s suits), toothbrush, mouthwash, mints, etc! Your most important task on your Wedding Day is simple: enjoy it to it’s fullest. Once the day arrives, let go and trust in your vendors! Allow yourself to be fully immersed in your Wedding Day. Remember this day is a milestone that you deserve to be a part of and be nostalgic for the rest of your life! There you have it, friends! And to go along with these tips and tricks I’ve put together an surprise gift for all of Meredith’s readers and Instagram followers! Click the link to access your exclusive Must Have Wedding Week Checklist. This checklist is filled with tasks as well as these tips and tricks that I’ve shared above to help you achieve your dream wedding while enjoying it to the fullest! 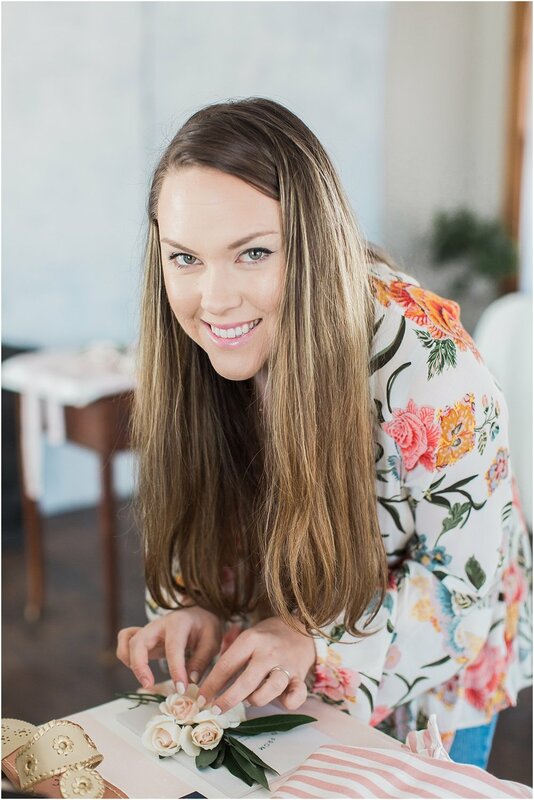 Keri Ketterer is the owner, wedding planner and designer of Always Yours Events, an award-winning wedding and celebration planning company based in New England and the South. With an expertise in both tented weddings and those celebrations hosted at elegant established venues, Keri’s wholehearted mission is to create romantic, ethereal and awe-inspiring weddings that leave a gorgeous lasting impression on her couples and their guests. AYE has been featured in national publications including People Magazine, Martha Stewart Weddings, Brides Magazine, Style Me Pretty and more, and Always Yours Events was honored to have been the official wedding planner for the Bachelor’s Whitney Bischoff. GET YOUR OWN FULL WEDDING WEEK CHECK LIST HERE! This past year has been filled with so many surprise opportunities and new friendships, and I have to say a BIG part of that was a result of the Rising Tide Society's Tuesdays Together meetings. While this incredible cozy fall shoot wasn't a direct result of that, I met Kate of Kate Murtaugh Events + Design and Kelly of Kelly Golia Events through those little get togethers and they teamed up to design this whole shoot in about two weeks. (No small feat!) I was incredibly honored to be asked to capture it for them along with Madeline Rose Photography to show different perspectives. The amazingly talented team created a Friendsgiving Day that would also make any fall bride's dream wedding come true. We were all pampered by Jocelyn, Sarah and Tada Style before getting to actually drink the Little Bitte custom cocktails around Phineas Wright House's wooden farm table built from the wood of the barn itself. Lilliput Design Studio (a new Boston transplant from Miami) laid out the most perfect menu cards atop a Borrowed BLU table scape for our feast while we looked on the beauty of Field & Vase and Weatherlow Farm's arrangements. To top it all off, Wool and Whiskey kept us warm with the coziest of knit accessories throughout the night. It was truly a Friendsgiving to remember and I am so excited to call these talented ladies my new friend-ors! The Dynamic Duo - Phoebe of Weatherlow Farms and Willa of Little Bitte have teamed up in the most AMAZING way, creating custom fully edible cocktails (including the garnish!) and workshops on how to create them! Seriously... go look these two up. You won't regret it. Our fearless leaders Kate of Kate Murtaugh Events + Design and Kelly of Kelly Golia Events! They designed this entire shoot from scratch just two weeks before bring it all together. And finally, some of my new friendors! Ok I'll admit... while I seriously LOVE styled invitation photos, this can be one of the most stressful parts of the wedding day. I try to make every invitation suite look unique and perfect, while still tying in aspects and as many details of your wedding day as possible! Here are a few ways MJP brides have made it easy for me to style their invitation in the BEST way possible. 1. Flowers - I'll say this all day 'er day (yes I was channeling my inner rapper for a second there ;) ) and that is why it is my number 1 suggestion. Have your flowers delivered to where you are GETTING READY! Greenery and flowers are seriously the number one way to make your details shine. Along these same lines, remember to ask your floral designer to provide a few extra loose flowers so that I can use them. As you can see in the image below, I often take them off of the stem and I don't want to have to take one away from one of the bridesmaid's bouquet! 2. Two Copies - You know that pretty print on the back that you took hours to decide on? Well I can't capture that AND the gorgeous design on the front if I don't have two copies! Below you can see there were two sides to the RSVP card AND the details card! 3. Extra Elements - Bring a few items that are unique to your day or to you! Something like this can make your invitation suite stand out and be unique. I probably get the MOST questions in this area, so feel free to leave your questions below OR leave an idea or two! Below are a few examples. One bride brought her grandmother's teacup (blue plate used below) because it was similar to her color palette and it was special to her. Another brought a piece of birchwood since it was used throughout the day, and it made for a perfect ring shot! The same goes for stamps in your color palette. Stamps make the whole suite come together and ordering some vintage stamps off of Etsy gives your invitations that final touch they need! 6. Send it to Me - Yes, it has happened more than once where a bride was so busy preparing for the wedding that she completely forgot her invitation suite. Luckily, she had sent it to me ahead of time and I brought it with me the day of and made it work! (Of course it's always a struggle to save the envelope once it's mailed, so this is a last resort.) Having it ahead of time also gives me some time to plan out what I think the best arrangement would be, gives me an idea of your exact color palette and gets my gears rolling for extra elements. As always, I hope that was insightful! I feel like there are so many more aspects I didn't even touch on so PLEASE don't hesitate leave comments and questions below. I am happy to answer any and every question I can! P.S. If you're curious who the invitation designer is, simply click the photo to get to their website! 1. LOCATION: Look at your getting spot as an indoor space for a portrait session, rather than just a place with a bed. Think windows and light walls and avoid basements! 2. 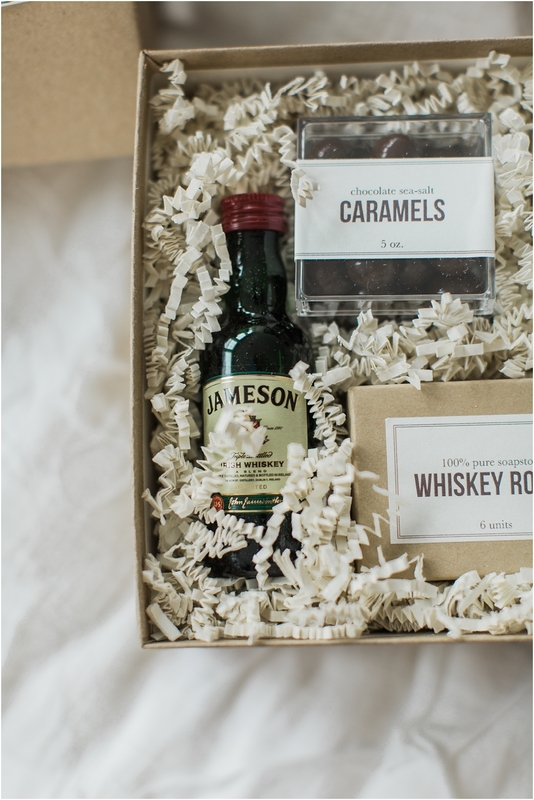 GATHER THE GOODS: We will document all of your details relevant to the wedding day. 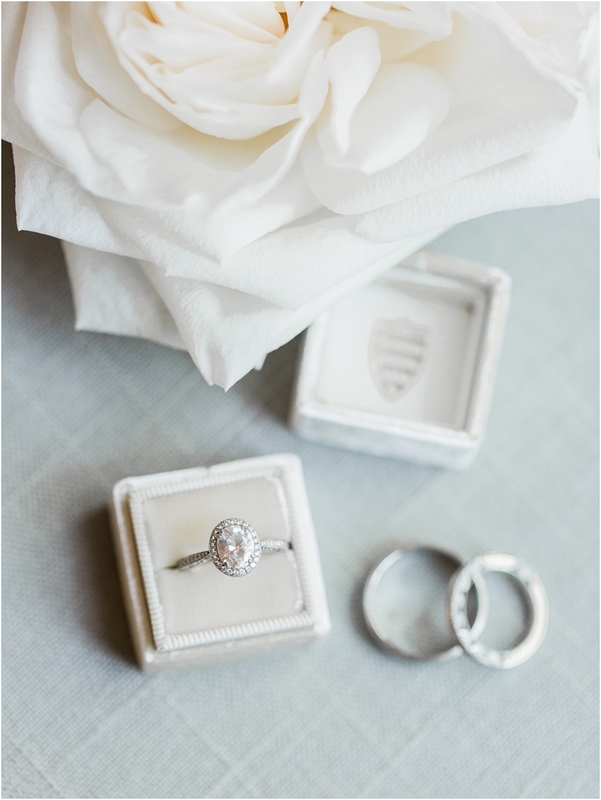 A few things to have set aside together are the dress, veil, shoes, jewelry, perfume, invitation suite, and all three rings! 3. 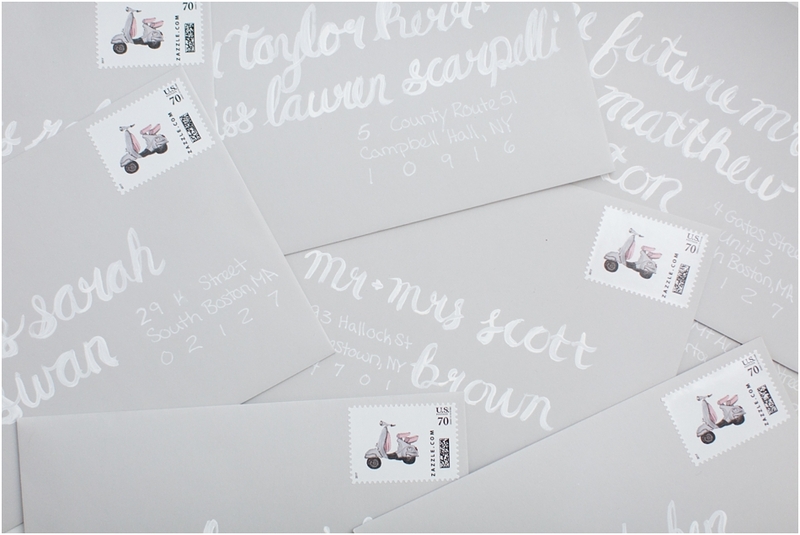 INVITATION SUITE: Using a calligrapher? Have her address an additional envelope to a guest with a fake address. This ensures that if the wedding is published this guest's address isn't displayed! Vintage stamps within your color palette are also something to consider! 4. FLOWERS: Make sure your florist delivers to your getting ready location! Flowers add so much to all of the details you provide. So I don't need to adjust your bouquet, be sure to ask for some additional loose flowers so I can use them to stylize your invitation and details. 5. EXTRA ELEMENTS: Having something that is unique to your day is another great way to help me style your details. Are you using birchwood or marble for your reception details? 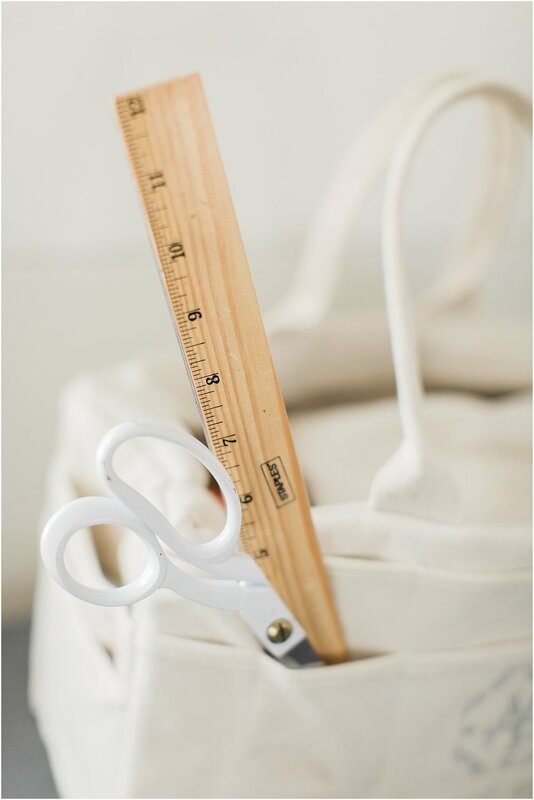 Do you have extra fabric from your bridesmaids hemming their dresses? Bring the material and/or fabric to the getting ready part of the day so I can tie together your whole day seamlessly. Do you have some additional ideas? I'd love to hear them below! In the mean time, I hope this helps you as your plan your big day! Packing for Your Honeymoon | We're Headed To Europe! For some of you avid travelers these might seem like no brainers but for me learning all of this was GOLD! My friend Sophia travels the world on practically a daily basis and I'll never forget the time she helped me pack for two weeks in a carry on. It was magical. I'm now putting all of these to use AGAIN because we leave for Ireland, Switzerland and Scotland on THURSDAY!! Hopefully these will help you as you plan for your honeymoon! 1. Lay everything out - I dunno about you, but if I see free space in my bag, I think to myself I must be forgetting something and I need to bring more. NO! Lay everything out first and you won't over pack. 2. Roll Away - This seems so simple, but rolling everything saves so much space. I know. I didn't believe it either until I tried it. 3. Get Separator Bags/Cubes - I actually don't have these but I plan to go out to Target today to find them. If you can pack your shirts in one bag, your dresses in another and your pants in another... you basically have DRAWERS when you get to your destination. My dad used to say "Kaboom!" when my luggage hit the bed and practically exploded from me digging for things and now Chris has adopted the same exclamation. I can't wait to prove them wrong on this trip!! 4. Interchangeable layers - Pinterest is amazzzzzing for this. Also Stitch Fix has been sending me guides on this too! See what different kind of outfits you can build with the same pieces. That'll make it look like you brought more outfits than you did! 5. Remember Your Passport - seems like a gimme, but the last thing you need is to show up ready to go and you forgot the most vital piece of the entire trip on your kitchen counter. 6. Leave Free Space - Normally I say leave half of your suitcase empty, but we're sticking to a carry on, so... not likely. If you're anything like me... the second you find Newbury Street's equivalent that bag starts to fill up pretttttty quickly! This post is also to tell MJP brides and new 2018 MJP bride hopefuls that we MAY be a little delayed in answering emails. Do you see how that passport up there says 2008? Yep that's the last time I went to Europe and I imagine a few things have changed since then, but I'm heading over there remembering the last time when I had to stop at internet cafes to have any contact with the outside world. Remember to follow along on Instagram to see all our travels! We aren't going for our honeymoon (obviously :-P), but I figured the packing concept was relatable. We are going to see friends living in Switzerland and we are so excited! !